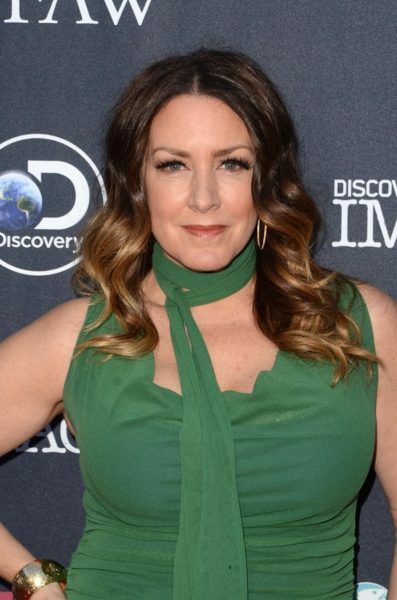 Joely Fisher is an American actress and singer. She is known for starring in two television series, Ellen and ‘Til Death. Joely is the daughter of actors and singers Eddie Fisher and Connie Stevens. Her younger sister is actress Tricia Leigh Fisher. She is the half-sister of actress Carrie Fisher and TV and filmmaker Todd Fisher. Joely is married to cinematographer Christopher Duddy, with whom she has three children. Her niece is actress Billie Lourd. Her father was born in Pennsylvania, to Jewish parents from Russia and Ukraine. Her mother was born in New York. Joely’s maternal grandfather was of Italian (including Sicilian) ancestry, and Joely’s maternal grandmother was of Irish (from her own father) and Polish Jewish and German Jewish (from her own mother) descent. Joely’s paternal grandfather was Joseph D. Tisch/Fisher (the son of Mojsche/Morris Tisch/Fisher and Sarah Peltzer). Joseph was born in Russia. Mojsche was the son of Ansel Taesch/Tesch and Esther. Joely’s paternal grandmother was Gitte Kathrine “Kate” Minicker/Minocker/Winokur (the daughter of Zelig/Selig Zadik Minicker/Minniker/Winokur and Neche “Ida” Hudel). Gitte was born in Yampil’ Vinnyts’ka, Ukraine. Joely’s maternal grandfather was Peter Ingoglia, known as musician Teddy Stevens (the son of Charles Ingoglia and Concetta Katherine Coletti). Peter was born in New York, to Italian parents. The surname Ingoglia is usually Sicilian, from Palermo or Trapani. Concetta was the daughter of Jakob/Jacob Coletti. Joely’s maternal grandmother was Eleanor McGinley, a singer (the daughter of Charles Jonathan McGinley and Sarah “Sadie” Asher). Eleanor was born in New York. Charles was the son of Hugh McGinley and Mary Gilligan, who were Irish. Sarah was the daughter of Isidore Harry Asher, who was born in Pennsylvania, the son of Jewish immigrant parents from Poland and Germany, and of Esther/Ester “Essie” White, who was born in London, England, to Polish Jewish parents, Isaac White and Sarah Simon/Simons.